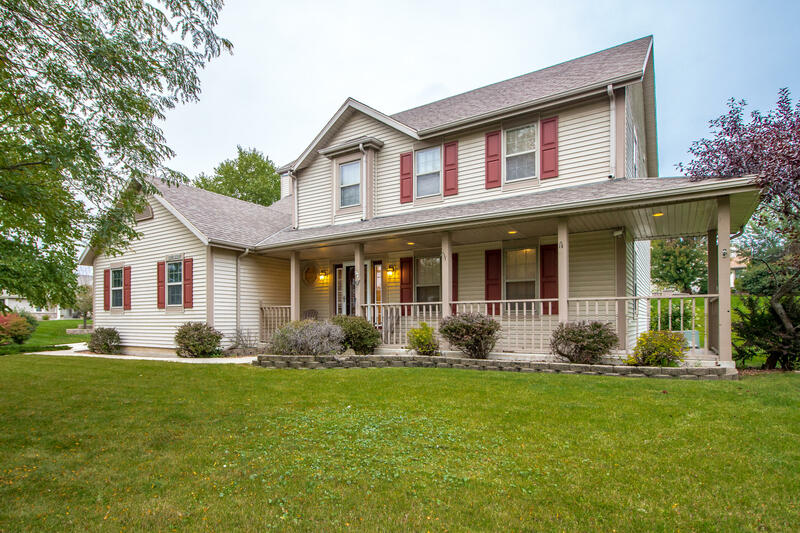 This beautiful move-in ready 4 bedroom, 3.5 bath colonial in the popular Champions Village Subdivision of Muskego awaits! Formal Living Room & Dining Room open concept w/ hardwood flooring. Cook's kitchen w/ granite counters, hwf's, pantry, large center island, and all appliances included! Family Room with natural fireplace-- perfect for those fall days. Private Master Suite features Master Bath with walk-in closet, dual vanity and jacuzzi tub. There's 3 additional bedrooms, a full bath & laundry area that complete the upper level. Finished lower level Rec Room features a TV area & bar. Private patio area to sit outside and relax on. Updates include: furnace in 2018, all carpet 2017 or newer. All of this plus a 1 year home warranty incl. Walking/Biking trails just outside the subdivision.